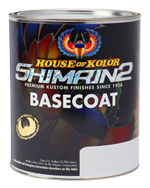 Shimrin2 is the 2nd generation of the proven Shimrin Basecoat technology introduced in 1982. 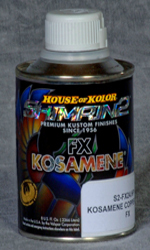 Shimrin2 is the next generation of ground-breaking universal basecoats from House of Kolor. Through new innovative polymer chemistry we are able to meet and exceed waterborne with a solvent based system designed for Kustom Painting. 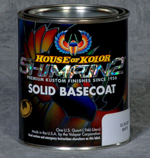 S2-25 Jet Black and S2-26 Bright White are Shimrin2 universal basecoats that may cleared for a final finish, or used as a foundation for Shimrin2 standard basecoats including Kandy Basecoats, and your own Kustom Kreations. The Jetest black and the brightest white are a must-have on every painters bench. Shimrin2 remains a solvent base system yet meets all VOC rules coast to coast including California.